Our improvement faculty teach our methods across a diverse range of settings. All of them have used our proven patient-centred methods to run improvement projects in their own organisations and are now helping to spread their learning to build capability within the NHS. As a physiotherapist, Helen has gained a broad experience of delivering and leading services in healthcare, social care, the voluntary sector and industry. Helen led the development of the experience based design approach and supporting materials for the NHS Institute. As an expert in the application of innovation and design approaches within a healthcare context, she has a wealth of experience in both developing and applying leadership, innovation and improvement programmes. 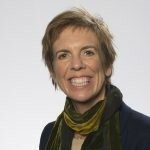 Helen is part of the team leading the delivery of Values Based StandardTM work for Macmillan, and works as a lecturer at the University of Salford, and the Alliance Manchester Business School contributing to, and leading undergraduate and post graduate programmes. Helen completed an MSc in Continuing Professional Development (Health) at the University of Greenwich. 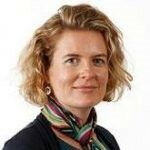 Catherine Dale is the Programme Director for Patient Safety at the Health Innovation Network – the Academic Health Science Network for south London. 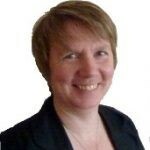 She has over fifteen years’ experience of management roles in acute NHS trusts in London, including more than ten years in service improvement and transformation roles. Catherine led a programme of work to improve patients’ experiences of cancer services using Experience-Based Co-Design (EBCD) and led the original development of the King’s Fund’s EBCD toolkit. Catherine’s patient-centred work is clearly demonstrated in the involvement of patients in the design and development of the Cancer Centre at Guy’s Hospital. Catherine achieved a distinction in her Masters in Business Psychology; her dissertation topic was change management in the NHS. Melanie Gager is a senior sister in Intensive Care at the Royal Berkshire Hospital Reading. 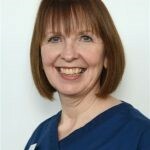 She has 31 years’ experience in critical care with a specialist interest in the physical and psychological recovery and rehabilitation of patients and their families. As part of her MSc in Advanced Professional Practice she focused on the experience of critical illness for patients and their carers and has used this to provide feedback, challenge current practice and measure/improve quality. Research is also an integral part of her work and she was the project facilitator for the Accelerated Experienced Based Co Design (AEBCD) project funded by the NIHR in both Intensive Care and Lung Cancer pathways. She is currently facilitating Experience Based Co Design (EBCD) in the Emergency Department. The films of patient and relatives experiences and the trigger film are soon to be available on the Healthtalk UK website. With the vision to enable others to use the trigger film in an accelerated experience based co design process. Melanie has worked with the Point of Care Foundation over recent years to promote and share the experiences of EBCD. Joanna Goodrich has been at The Point of Care Foundation since its beginnings at The King’s Fund eleven years ago, and now works for them as an Associate. She led the Schwartz Rounds programme, an initiative which provides a regular reflective forum for staff from all backgrounds in healthcare organisations to meet together. Joanna has recently completed a project to investigate how professionalism is taught in the undergraduate curriculum in medical schools, with a specific focus on resilience and wellbeing. For some years Joanna has led training and support for healthcare teams using ‘experience-based co design’, a method which involves patients and staff working together to improve services, now part of the Sweeney Programme. Joanna has a particular interest in research, evaluation and impact assessment. Elaine works with The Point of Care Foundation to help train and coach in the use of the Experience Based Co-Design method. She was the service improvement lead involved in testing EBCD in its first use in a hospital setting. A nurse by background, Elaine spent time working in the acute sector before moving into nurse education and then to quality and service improvement, leading and managing a number of improvement projects and programmes. As well as working in NHS Acute hospitals, Elaine has worked at the NHS Institute for Innovation and Improvement, in the independent sector and with primary care in a variety of roles including Director of Quality. Glenn’s research at King’s College London draws on the fields of organisational studies and organisational sociology and focuses on local quality and service improvement ‘work’ in healthcare, as well as new perspectives on large-scale change. 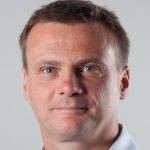 He has an overarching interest in organisation development and change management that spans all three domains of healthcare research, policy and practice. A particular focus of recent work has been on developing and testing an ‘Experience-based Co-design’ approach to quality improvement. Drawing on design thinking, the approach has been applied and evaluated in numerous healthcare services in the NHS and has subsequently been implemented internationally. 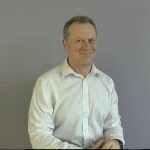 Dr. Neil Springham trained in art therapy in 1988 and has worked in adult mental health, addictions and now specialises in personality disorder treatment. He was a course leader at the Unit of Psychotherapeutic Studies, Goldsmiths College, co-founded the Art Therapy Practice Research Network and was twice elected chair of British Association of Art Therapists. He has a PhD in Psychology and is currently a consultant art therapist in the UK National Health Service where he founded ResearchNet, a service user and provider collaboration which develops co-produced research in mental health. He has published and lectured internationally on a wide range of issues in art therapy, co-production and Experience Based Co-design. Kellie works independently, supporting individuals and organisations to achieve long term success in areas that matter most to them. She achieves this through a range of tools including facilitation, coaching, consultancy and training. 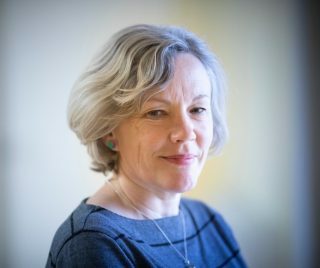 Having worked in health for 11+ years, she has acquired experience across a range of areas including Human Resource Management and Recruitment, personal development, communities of practice, strategy development, patient insight, experience and involvement, governance, business operations and research. Kellie graduated with an LLB higher education certificate in Law and a BA Honours degree in Business and HR Management in 2004. 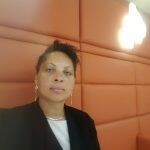 She has since acquired further qualifications in coaching, project management and quality improvement, to support her work. In her spare time, she works in the community, helping disengaged people live better lives. 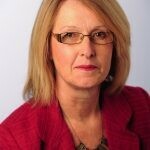 Joanne Watson is Deputy Medical Director at Torbay and South Devon NHS FT. This is her dream job as, despite the difficulties facing all NHS organisations, this organisation became an Integrated Care Organisation in 2015. She is responsible for delivering care fit for the 21st Century across health and social care with the vision to create systems which support people to live healthy, productive lives with services centred around ‘what matters to you’. Her clinical expertise is in diabetes and long-term conditions management alongside expertise in quality improvement methodology. Joanne describes her year with Don Berwick and Maureen Bisognano during a Health Foundation/IHI QI fellowship as life-changing. Joanne worked with the Point of Care Programme at the King’s Fund from 2010 to 2013 to test out the relevance to NHS care of the American Patient and Family Centred Care Programme. The work demonstrated how patient-centred care is internationally understood and she is delighted to be working with the Point of Care Foundation again on their new programmes of work.